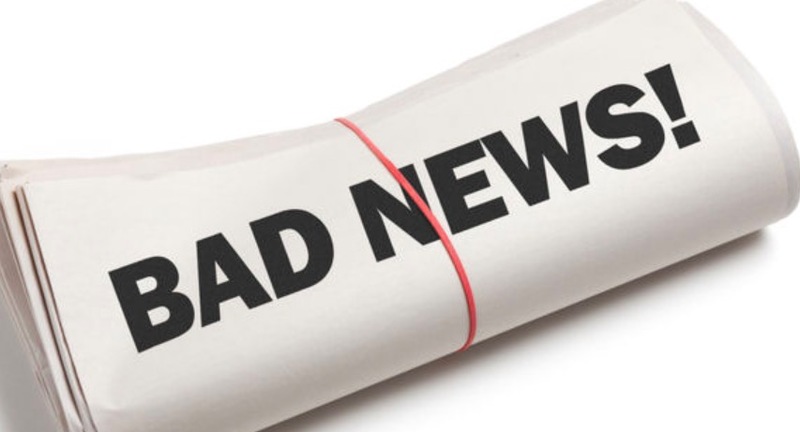 Now, here is a conflicting thought… Have you considered that—for the leader—Bad News is actually Good News. Think about it. If you are leading well, your staff has the confidence that they can bring the bad news to you as regularly as they bring the good. If however, you’re a leader that is finding out things have gone wrong… and it is too late to fix them, the breakdown is not with your people, the deficiency is with you. Trust is the single most valuable possession that a leader has. The ability for your people to communicate problems, or forecast potential problems, is created when they trust your integrity as a leader. If they feel they can bring things to you and tap your wisdom for their solutions you will win the hearts and trust of your people. Furthermore, you will avert disaster, and increase motivation within your organization. You will also solidify your legacy as a quality leader. If on the other hand, your people fear bringing issues to you because your normal reaction is accusatory, questioning, condemning, frustrated or angry, you have created an environment that will destroy trust and ultimately harm your organization. Take a minute. What do your people proactively bring to you? Is the report always a good one? Do they eagerly report the negative things? Do you only “find out” about the bad after it has occurred? As you try to discover why that is… perhaps you simply need to look in the mirror. Allow me encourage you to talk to your people. Build their trust. Let them know that you are open and that you will reward the discovery of problems and their ideas for solutions. Show them in your reaction that you will honor those words. It takes a hundred repeated mature responses to gain an individuals trust, but it only takes one immature response to destroy it.